Living in the Crown Isle community offers a little something special, especially during the holiday season. Ownership and staff enjoy organizing social gatherings to help bring the whole neighbourhood together and as more residents move into the community, the festivities just keep getting bigger and better. This year, Crown Isle is celebrating the Christmas season by hosting a variety of activities. The community is introducing a new 12 days of Christmas, running from December 1 to December 12 with fun for all age groups. Come by and see the amazing outdoor lights and decorations around the Clubhouse - Did someone say S'MORES! And Crown Isle will once again host the Odlum Brown Christmas Village with gingerbread and teddy bear exhibits throughout the clubhouse during December. The Annual Crown Isle Resident's Christmas Cocktail Party will be held in the ballroom on December 15 from 7-10pm. Residents mingle, see old friends and meet new ones all while enjoying special chef's creations and enjoying a swing or two around the dance floor. Finally, back by popular demand, the Crown Isle Residents' Annual Christmas Light Contest is on again this year. Residents will be voting for the People's Choice of the homes being lit up for the holiday season. The lighting contest will honour the top three homes. Come bring the whole family to see what's new this month and help celebrate the season. It will be sure to get you in the mood of Christmas! 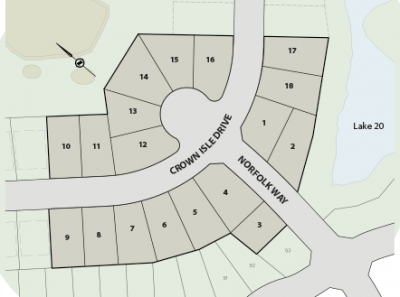 In an effort to keep up with demand for new home building lots, Crown Isle Resort & Golf Community has extended Sussex Drive through Norfolk to bring to market an additional 32 lots. Road construction and servicing are nearing completion. Lot pricing will range from $169,900 up to $229,900 for those lots backing onto a small lake located near the community's south east border. To date, 24 of the 32 lots have been reserved for clients and custom home building partners within the community. Final registration is expected in late November early December. Contact Jason Andrew at Crown Isle Real Estate to reserve your lot today - jason@crownisle.com or (250) 207-0070. Come by and see us at our current Show Home located at 1184 Crown Isle Drive next to the 17th green at the prestigious Crown Isle Golf Course in Courtenay, BC. We are here to help you find the perfect lot and floor plan that fits both your lifestyle and your budget. We are open seven days a week from 11am to 4pm. We look forward to meeting you! When the winter rainstorms hit the Comox Valley, it’s time to spend a little time indoors. The Ridge in Courtenay with building lots for sale for your custom home is located minutes from the downtown core with many options for dining, shopping, and entertainment. Whether you’re looking for culture or entertainment, the Sid Williams Theatre provides a year-round program of theatre, film, dance, and music from local performers, rising talents, and established artists. The Yellow Point Christmas Spectacular is a popular seasonal music and dance extravaganza, while Winter Harp is a medieval themed Yuletide celebration. 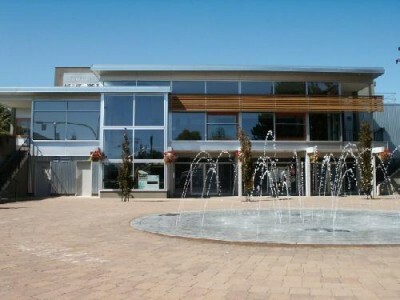 There are plenty of dining options in downtown Courtenay, whether you choose to dine before or after the evening’s entertainment. Gladstone Brewery on the corner of Cliffe Avenue and 4th Street offers locally brewed craft beer and gourmet pizza, while the Atlas Café, Union Street Grill, and Tia’s Mexican Restaurant are long time favourites with locals. Commercial and residential Realtor® Bruce Carruthers of Re/Max Check Realty in Campbell River has listed a single-family home for sale on Pinecrest Road. This five-bedroom, three-bathroom home includes a downstairs in-law suite and newer fixtures and features. This family home for sale is centrally located in Campbell River and within walking distance to the pool, arenas, shopping and schools. There is RV parking, a workshop in the house, and a garden area. The home has southern exposure for plenty of natural light. 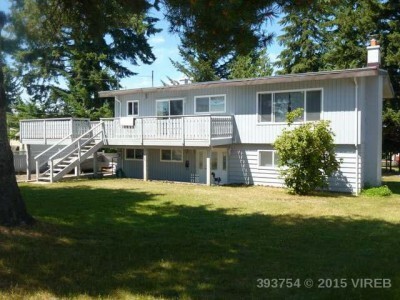 This single-family home for sale in Campbell River has been listed with a sale price of $274,900. Bruce has been a a licensed Realtor® for over 25 years in Campbell River, and his goal is to provide a professional service to his clients and to make sure that they are 100% satisfied when buying or selling real estate in the Campbell River area. 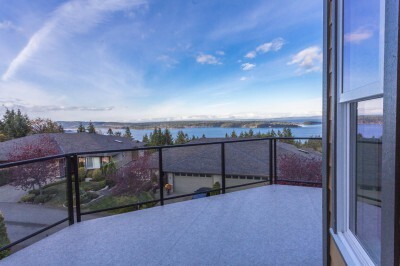 The Gales in Ladysmith on Vancouver Island has listed its latest luxury patio home for sale. This 3,000 sq. ft. Built Green® custom patio home show cases the best in environmentally-friendly materials and construction techniques, offering a home that is as spectacular as its location. Situated along the Georgia Strait on the east coast of Vancouver Island, The Gales offers residents unparalleled ocean and mountain views. This new luxury patio home for sale takes full advantage of these views with an open floor plan and extensive wrap-around decks. The decks also provide plenty of room for outdoor entertaining in the summer months. Inside in the kitchen, you will find custom floor-to-ceiling cabinetry, granite countertops, and island with built in sink and eating bar. The master bedroom is on the main floor and features ensuite with walk-in closet. A Carrier Infinity heat pump, HRV ventilation, Rheem Marathon Limited Lifetime hot water tank, and Milgard windows are just a few of the environmentally-friendly features that can help reduce your energy costs by up to 30%.